Write, doodle, and organise on our magnetic whiteboard planners! 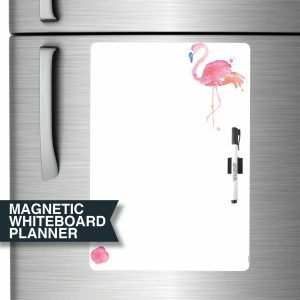 SKU: DE3013 Category: Magnetic Whiteboards Tag: Magnetic Whiteboard Planner. Dry Erase Board. 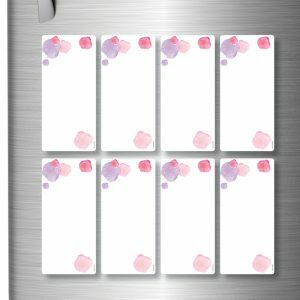 PINK ALL-PURPOSE MAGNETIC FRIDGE WHITEBOARD. This whiteboard is 30 cm wide x 42 cm high / 11.7″ x 16.5″ (A3 size). You can write with any whiteboard marker or dry erase marker. The easiest way to wipe off your marker is to use baby wipes, any soft wet or dry cloth such as a tissue, napkin, tea towel or whiteboard or dry erase cleaner. 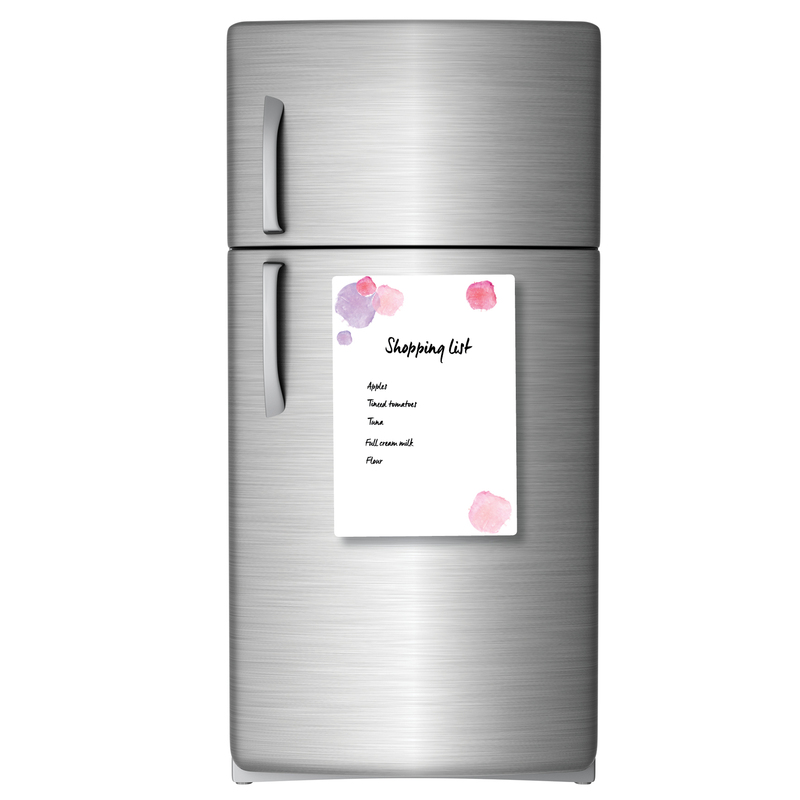 Place your whiteboard on any magnetic surface such as a refrigerator, magnet board, metal door, or a metal filing cabinet. The front surface is 100% whiteboard material and you can write on the entire space. The entire backing is a soft magnet so it will lay flat on surfaces and not scratch or mark them. Our Magnetic Whiteboards are lead-free and last over 5 years indoors. All our Whiteboards are made and designed in Australia. A Whiteboard is the same as a Dry Erase Board, it is just a different name. A whiteboard marker is also the same as a dry erase marker! 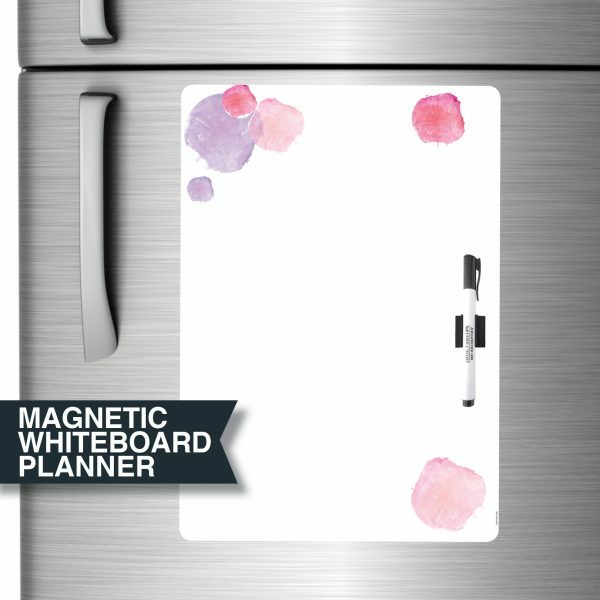 PREFER A DIFFERENT COLOUR, THEME, OR SIZE FOR YOUR MAGNETIC WHITEBOARD PLANNER? 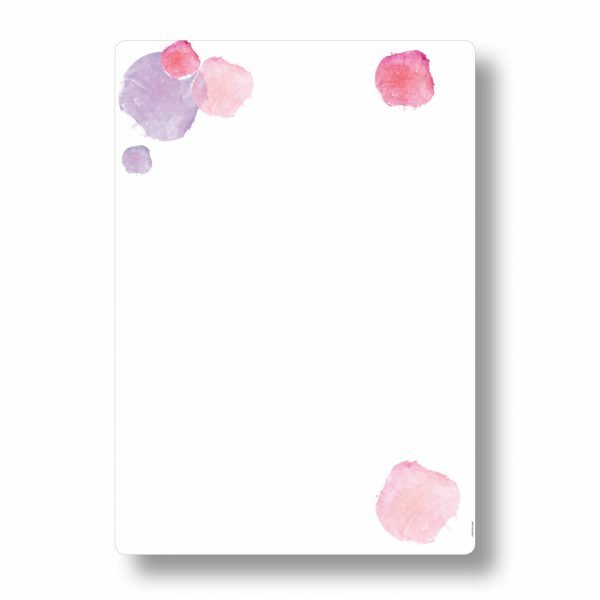 We have gorgeous pink and blue watercolours, in Weekly, Monthly, Notes, To-Do and many more. 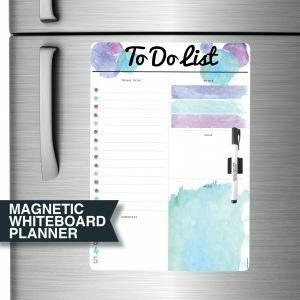 These all-purpose “design only” soft magnetic whiteboards are great so you can write or keep track of anything you want or doodle away without restriction! 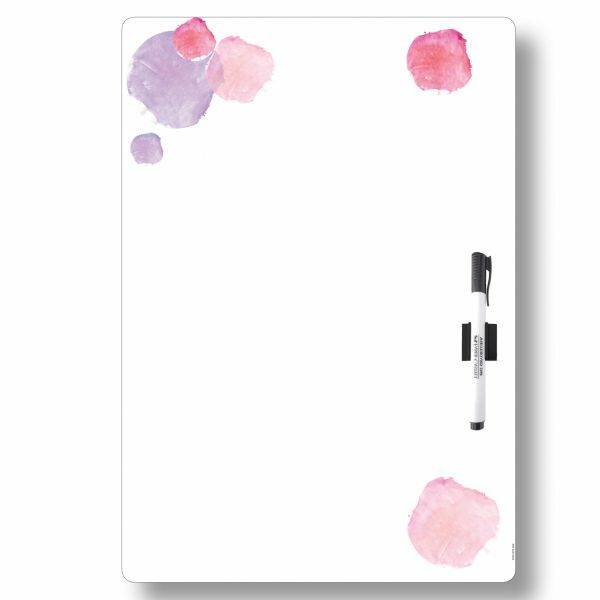 We have heaps of designs in these all-purpose whiteboards, including Blue, Pink, Flamingos, Dots, Pineapples, Dreamcatcher, and Clouds with Raindrops!! 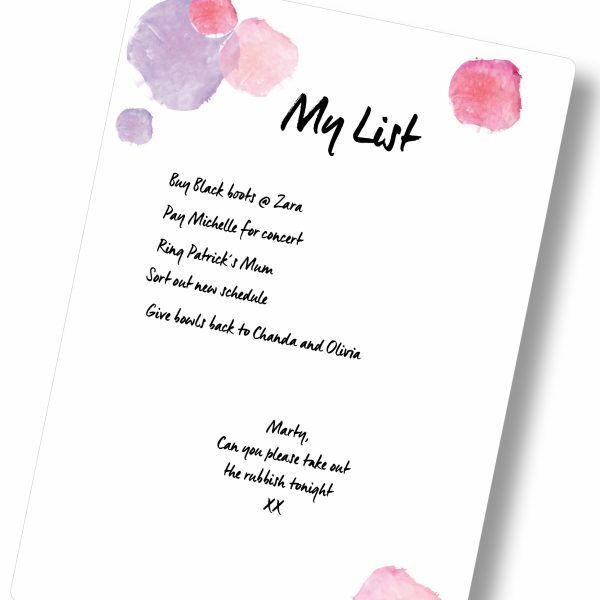 And check out our range of small magnetic whiteboards which are great for assigning to days of the week or even to each member of your family or household (or furry family member!). HAPPY PLANNING – Making planning fun and beautiful!